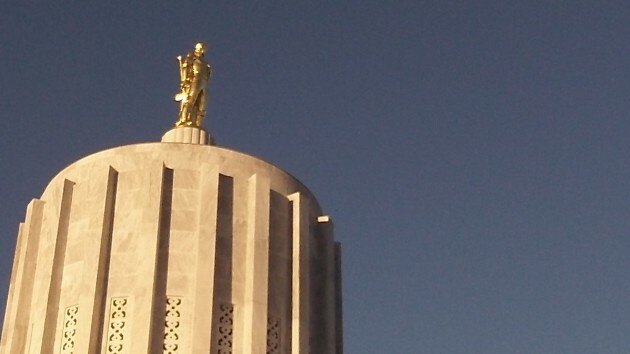 It’s obvious that the majority party in the Oregon legislature has no interest in facts when it comes to making laws. The demise of House Bill 4101 is a good example, as though another one was needed. The bill, introduced by Cliff Bentz of Ontario and several other Republicans, would require the Department of Environmental Quality to try to establish the costs and benefits, to the average Oregon resident, of legislation intended to reduce the emissions of greenhouse gases such as from burning fossil fuels. On Feb. 11 the House Energy and Environment Committee held a pro-forma hearing on the bill and took no further action, burying the bill. The committee had no intention of taking the idea seriously. The measure had no staff-written summary or statement of its impact on the budget. The Association of Oregon Counties sent a letter supporting the bill, and so did one single private citizen. That was it. The measure was dead the day it was drafted. The Democrats were not going to waste time on something like this. What, they seem to be saying, you want us to actually figure out how average citizens are going to get hosed by something our supporters want passed? You’ve got to be kidding! This attitude explains why the Democrats are passing a big jump in the minimum wage even though they’ve been told it will kill jobs and force some businesses to close. (One estimate is for a job loss of 60,000 or more.) The public-sector unions want the increase, presumably because it will help them demand more all the way up the wage scale), so that’s what the majority is going to pass. It also explains the coming passage of the deal to ban the sale of coal-generated electricity in 2030 and demand that 50 percent of all power come from renewable sources 10 years later. The Public Utility Commission, though muzzled by the governor, says this will increase the price of electricity — especially for Pacific Power customers — and make the electric system less reliable. In the face of such warnings from the PUC, who but a captive of environmentalist donors would vote for such a bill? Instead of SINGLING OUT the Department of Environmental Quality, which is just a partisan distraction, why not make it apply across all departments and all Initiative petitions? And provide the new tax authority to cover the costs of the financial analysts and others needed to do that kind of work. A little grumpy today, eh? A bill with no apparent backing is generally stillborn. Some are just plain silly, some are opening statements in a longer term program. No crushing conspiracy here, just lack of backing. The bill does pose an interesting question — what benefit will I get for my money? There’s likely no solid answer. Depends on timeframe, adaptive changes in lifestyle, technology shift, etc. The only solid answer will come from a looking-back audit 20+ years from now. It’s a reach to tie the minimum wage bill passage to a crushing conspiracy. The PUC has a vested interest in maintaining the status quo. That involves a stable power grid with predictable generation. Wind and solar are variable. Stabilizing the grid around those components is not in their toolset.